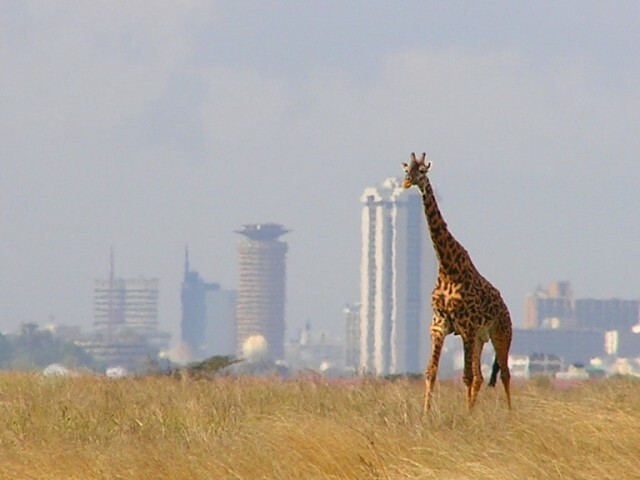 Nairobi, the capital of KENYA, is the largest city in eastern Africa south of CAIRO, Egypt. British colonists founded Nairobi in 1899 as a camp for laborers who were building the railroad from the coastal city of Mombasa to Lake Victoria. A railway yard and depot were established, and the camp grew rapidly into a town. In 1905 the British named it the capital of the British East Africa Protectorate (now Kenya). Nairobi attracted a wide variety of people: Indian merchants, members of the GIKUYU ethnic group from the surrounding area, and white settlers. As Europeans forced the Gikuyu off their lands, more and more Gikuyu settled in Nairobi. Racial tensions eventually led to the MAU MAU uprising of the early 1950s. During this conflict Kenya’s British colonial government imprisoned thousands of Africans in and near Nairobi. After Kenya achieved independence in 1963, Nairobi prospered. However, the city’s rapid growth caused a housing shortage, and people built makeshift homes, which the government often bulldozed. Such slums continue to be a feature of life in Nairobi.